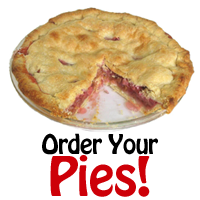 If you are interested in ordering any of the pies, download the order form and fill out your order. You may print the form and bring it to the church or fill it out and email it to Pies at St. Paul's. For a list of all services for Lent and beyond, please check the Activities page.